Check out the Tallest Truck in the World! This 1949 studebaker truck known as High Altitude was towering over the Silver Lake Sand Dunes. Brian Ashman from Ohio built the tallest truck when he was 19. The Show Truck body is on a scissor lift to lift up the entire truck body instead of just the typical bed lift. He built this truck in the early 90’s and it still turns heads today. Back then Bigfoot claimed to be the tallest truck with his 10 foot tall tires. Well Brian pulled High Altitude up next to it at a car show and raised it up and was taller. Needless to say Bigfoot was not happy about that. The Truck features 2.5 ton military axles, 5 ton transfer case, Turbo 400 trans and a 454 Big Block engine. Some people may think this truck shouldn’t count as the tallest truck but regardless it makes for a great view! For more unique rides check out the Busted Knuckle Video Youtube Channel. 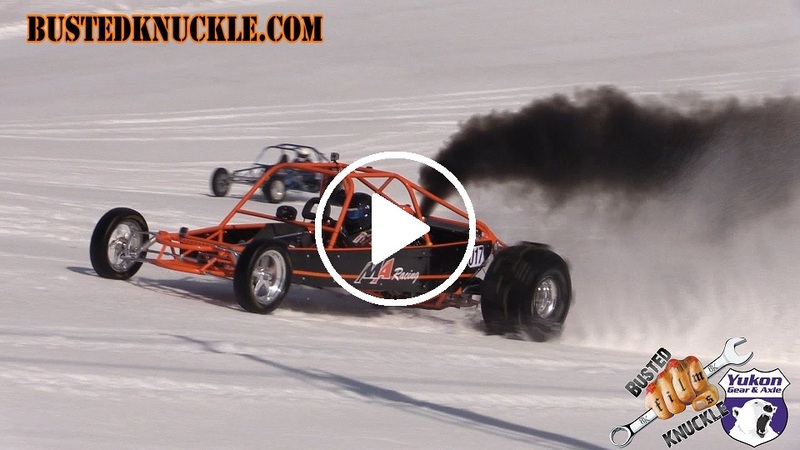 Check out this Duramax Diesel Powered Sand Rail as it rips up the ski slopes!